The Giro Synthe is a widely used helmet in the professional peleton and is available in a MIPS version as Giro Synthe MIPS. Switching from the Giro Aeon helmet I’ll have a look at the design differences with special attention for the MIPS protection layer. Finally I’ll share my experiences of the Giro Synthe MIPS on the road. The main driver to purchase the Giro Synthe MIPS is the enhanced safety over my current non-MIPS version of the Giro Aeon. In the light of the recent deadly accidents with cyclists over the past months, some extra safety isn’t a luxury item. Well I’ve ordered the Giro Synthe MIPS in size S, just like my Giro Aeon. It feels light and looks aerodynamic, but also rather compact. According to specifications the Giro Synthe MIPS has 26 wind tunnel vents with internal channeling. 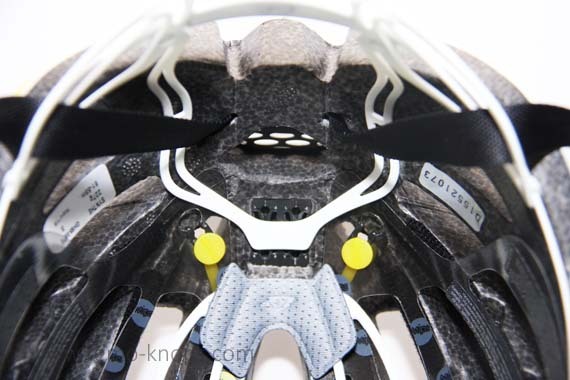 Compared to for example the Giro Air Attack, there are more vents to keep your head cool. In other words the Giro Synthe MIPS probably hits the optimum of aerodynamics and comfort. As I’m used from Giro, the Synthe MIPS comes with the Roc Loc fit system to easily fine-tune the fit of your helmet. Even on your bike you can adjust the Roc Loc system with a single hand. The straps are black, which is a better color choice than the white straps of the Giro Aeon that will eventually get dirty from sweat. The Giro Synthe MIPS weighs 234 grams on my kitchen scales, which is 46 grams more than the Giro Aeon without MIPS. Both helmets come have the size small. I can live with the weight-penalty without even blinking an eye, simply because the MIPS technology gives me increased safety. Given the recent cycling accidents MIPS is not an obsolete luxury- or marketing item. MIPS stands for Multi-directional Impact Protection System, and is being developed and tested since 1996. The video above explains the MIPS technology in just a few minutes, while you can read the formal description on the MIPS Technology website. You can read through some of the R&D papers on the same MIPS technology website or check out the company history. Furthermore I would like to recommend the CyclingTips article “Origins: The story of MIPS, helmet technology for brain-injury prevention” written by Matt Wikstrom. It tells the great story from fundamental scientific research to commercial products. On the road I can hardly experience any difference in fit and ventilation between the Giro Aeon and the Giro Synthe MIPS. Some aero helmets seem less well ventilated, but even during 30+ degree Celsius rides the Giro Synthe MIPS ventilates well and keeps the head cool and protected. Also with lower speeds going uphill the ventilation is good. Personally I found it more difficult to dock my Oakley Radar EV Path Prizm Road sunglasses in the Giro Aeon, probably due to the amount of vents. With the Giro Synthe MIPS there is a dedicated port for securely docking sunglasses as you ride. The dedicated port is in the Aero Mesh Panels and features some rubber grippers that keep your sunglasses in place. The Giro Synthe MIPS is comfortable to wear and I didn’t have any issues on long summer rides. The Giro Synthe MIPS is being used by many professional World Tour riders in the peleton. There are even Giro Synthe MIPS team editions available for BMC Racing-, Katusha-and the Mash pro team. 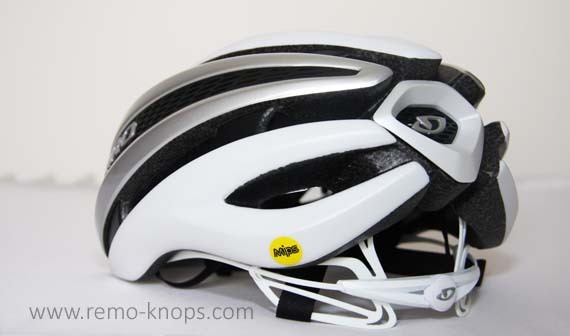 The Giro Synthe MIPS is available in the price range of EUR 200 – 230. The non-MIPS version is available in the price range of EUR 150 – 200. Paying EUR 50 for additional protection through the Multi-directional Impact Protection System is an investment I’m happy to make. As a road cyclist only your helmet and gloves are your protection layers. Please spent some time going through the referenced CyclingTips article and the MIPS Technology website to get some context on the technology you buy. It’s not just fun to read but it might make the difference in case of an accident. The Giro Synthe MIPS has been very comfortable to wear during the testing period and will be my preferred helmet I’ll use on all my rides. What helmet do you use ? 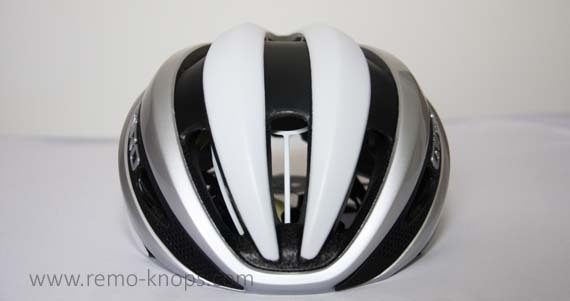 Hey!, I found this information for you: "Giro Synthe MIPS Cycling Helmet review". 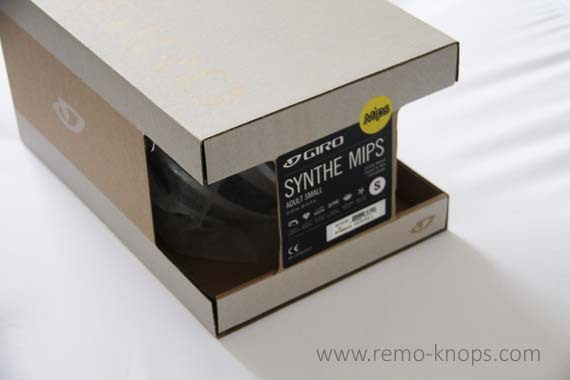 Here is the website link: https://www.remo-knops.com/6307/giro-synthe-mips-cycling-helmet-review/. Thank you.